After Facebook, now Instagram went down this year. Though no viral tweets over Twitter this time as like when Facebook went down earlier this month! 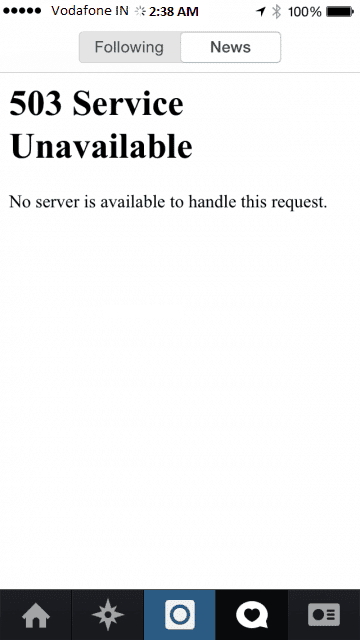 Instagram’s app and website went down for most users. Instagram revealed that they are aware of the outage, but didn’t give any idea about the source of the problem or how long it will take to fix the problem. 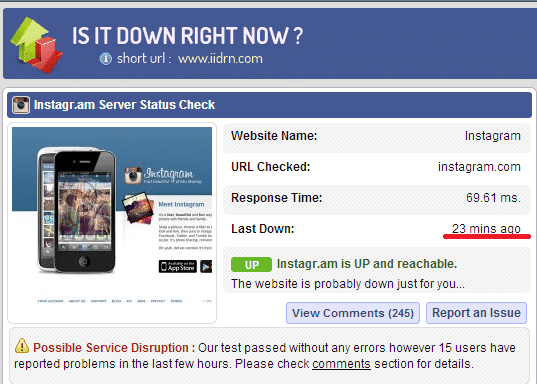 According to DownDetector.com, a site that tracks service outages and disruptions based on reports from Twitter and other sources, the site went down and now it is showing that Instagram is back. Though, this time its not that viral, most people seems to be fine and posting funny pictures Twitter, including some famous guys and popular Twitter handles.